Thirty Years of Championship Golf is the story of one of the USA's most enduring golfers. More than a sports autobiography, it includes Sarazen's thoughts about golf technique, his golfing contemporaries, his family and friends. Born in New York state, Sarazen was the son of a Italian immigrant family who began his career as a caddie and went on to win the American Open (twice), the British Open, the PGA Championships (three times) and the Masters. 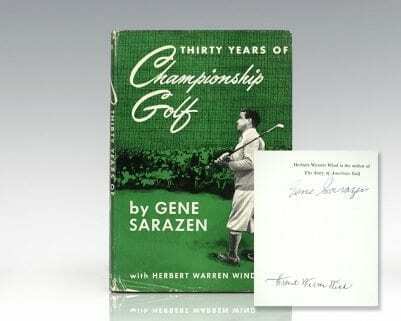 First edition of Sarazen’s classic autobiography. Octavo, original cloth, illustrated. Foreword by Robert T. Jones, Jr. 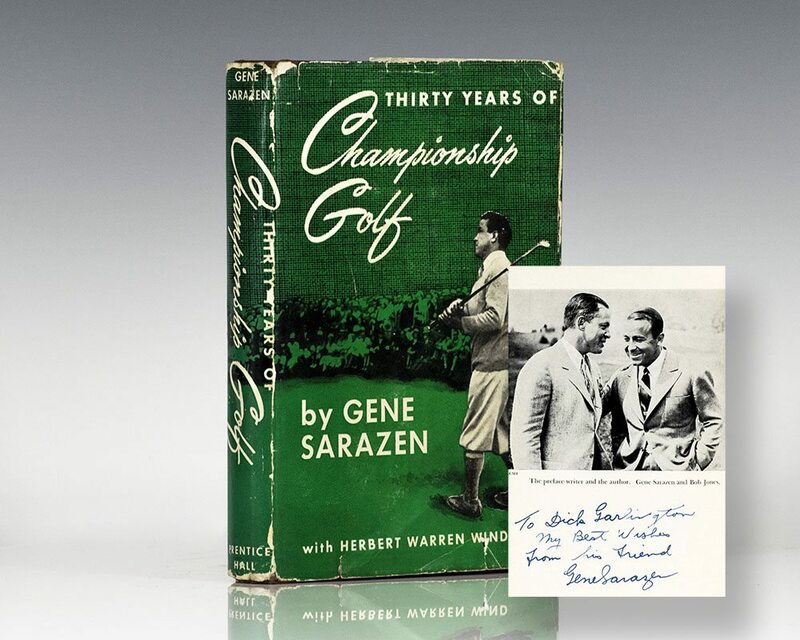 Signed by both Gene Sarazen and Herbert Warren Wind on the verso of the half-title page. Near fine in a near fine price-clipped dust jacket. Rare and desirable signed by both Sarazen and Wind.